It’s six years ago this month that I got my 15″ Retina MacBook Pro. Although it’s also mostly brand new it’s starting to feel a little long in the tooth. The 2018 line of MacBook Pro’s was the announcement I was waiting for and I’ve had the machine for just over a week now. So how does it stack up in comparison to its ageing sibling? The height of the new MacBook has slimmed down from 1.8 cm on my mid-2012 machine to 1.5 cm, the width reduces by a full centimetre (35.9 cm to 34.9) while the depth goes from 24.7 cm to 24.0 cm. The weight reduces by 10% too from 2.0 kg to 1.8 kg. The improved dimensions, along with slimmer bezels and even the darker Space Grey colour, give the overall feeling of a slightly smaller, slightly lighter machine. So there’s a little 2 quid USB-C to USB-A adaptor included in the box to get you up and running with all your old tech, right? Nope. For all their talk about customer satisfaction Apple continue to be tighter than a very tight thing. The only other items you’ll find in the box are the 87W USB-C power adapter and the 2m USB-C charge cable. The CPU powering this laptop is the new 8th gen 2.6GHz Intel Core i7 Coffee Lake hex-core. But how does it perform in real-world use in comparison to my mid-2012 laptop? The 6-core processor can Turbo Boost up to 4.3GHz and in a few non-scientific test I timed some typical tasks that put the system under load. Safe to say then it’s a major lead forward, as you’d expect from 6 years of progress. The machine is silent in normal operation and remains relatively quiet even when the fans are on. A thermal throttling bug on the new Pros had sent YouTube apoplectic last week, but all is good now after Apple released a patch to fix the issue. Apples butterfly keyboard has come in for a lot of criticism for being too easily disabled by dirt and dust. That’s resulted in the launch of a repair program for effected units. But it looks like this 3rd generation keyboard has been fixed, despite being disguised as an improvement “for quieter typing”. Apple are facing several class-action law suits over the old design so may not like advertising the fact that there’s more to it than that. While the backlit keys are flat and travel is further reduced, I’ve taken to it from day one and find it fast and accurate. The Touch Bar has also come in for a fair amount of criticism. I’ve found there are some useful custom keys for Logic and Final Cut, even things like the calculator. But is the trade off between the flexibility of the new OLED screen and the ease of use of the old tactile keys worth it? It’s too early for a definitive opinion, but I’d say at this point it’s mostly a gimmick, and a step backwards for several simple tasks like volume control. My fingers inadvertently rest on it several times a day, either hitting the esc key or back key which is very annoying. Unsurprisingly the Touch ID finger print sensor is pretty great, especially for things like 1Password. The machine will also unlock using the proximity of my Apple Watch which is nice too. The trackpad has grown again and now measures 16 cm x 10 cm. It’s pretty much peerless in the personal computer world in my experience. 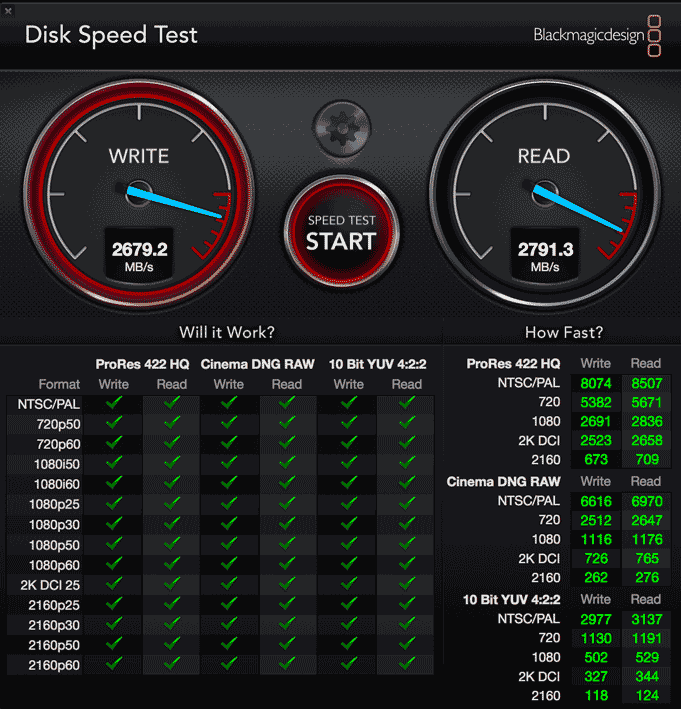 The standard SSD on the 2.6GHz i7 is now 512GB (double the 256GB from 6 years ago) with optional upgrades to 1TB (+£360), 2TB (+£1,080) or an incredible 4TB (at an equally incredible +£2,880). My 2012 MBP topped out at around 475MB/s. 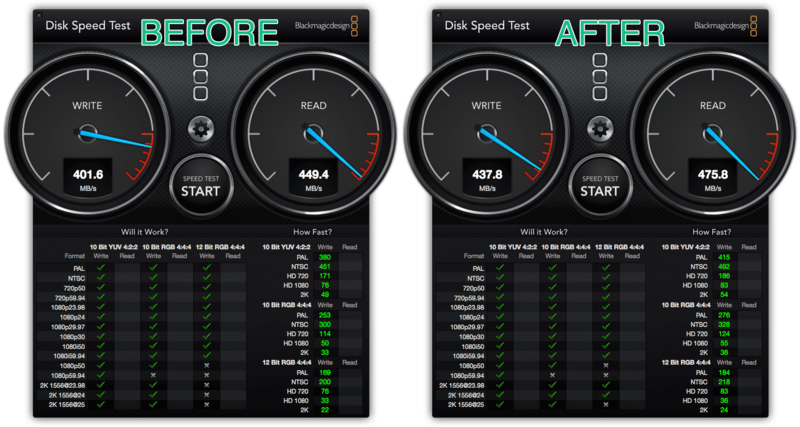 The 1TB SSD in this machine however is on a different planet. Combined with the new more efficient Apple File System it pulls around 2.7GB/s in my tests. This is perhaps the single biggest upgrade in how the machine feels in day-to-day use. One of the other advantages of the new architecture is the ability to spec 32GB of RAM. Although it was a painful £360 for the pleasure, this allows me to allocate my virtual machines more memory which helps speed them up too. It’s the slightly less power efficient 2400MHz DDR4 memory variety, but Apple have increased the size of the battery to maintain the ‘up to’ 10 hour life. Again it’s early days but I’ve already seen 9 hours of light use (just watching movies for example), that’s nearly double the battery life of my old machine. However, fire up Final Cut or even Lightroom and watch that iStat Menu battery time remaining estimate change very quickly. 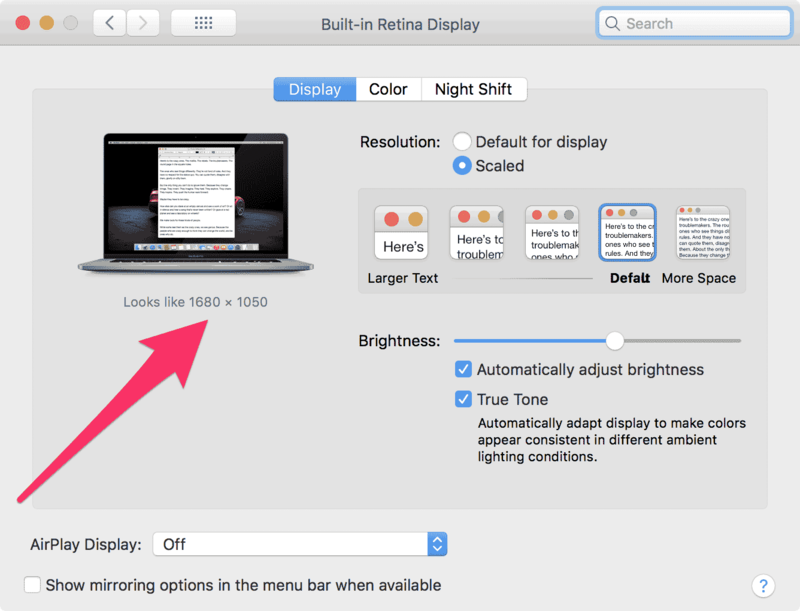 True Tone modifies the screen (and Touch Bar) colour temperature to match the ambient lighting of your surroundings. This is another Apple feature that you didn’t know you wanted until you had it. After 8 months using it on the iPhone X I can say it’s certainly nice to have. Apart from True Tone though, the display specs have barely changed from my 6 year old machine. Although the 2880 x 1800 native res now defaults to “looks like 1680 x 1050”, instead of 1920 x 1200 in the older machine so it gives more work space and a smaller point size. It would have been nice to have a 4K display on the 15″ by now (the Dell XPS 15 rocks a 3840 x 2160 res) and a further reduction of the screens bezels would help bring it up to date too. The machine has four ultra-fast and flexible Thunderbolt 3 (USB‑C) ports with support for charging, DisplayPort, Thunderbolt (up to 40 Gbps) and USB 3.1 Gen 2 (up to 10 Gbps). The only other port is a 3.5mm headphone jack. I’m using the AUKEY USB C Hub which means plugging it in on one port in the morning gives me Ethernet, HDMI, Power pass-trough and USB-A. For me the removal of the SD card slot is the single biggest negative of this machine. It’s something I used a lot on my 2012 MBP and I feel it’s really poor that Apple took the decision to remove it when they released the 2016 design. There’s no excuse for it, SD is still the format of choice for most cameras and now I have to carry a dongle just for that (I can recommend this one). There’s 802.11ac flavoured Wi‑Fi on board (802.11a/b/g/n compatible) and Bluetooth 5.0 too. The new Apple T2 chip provides “Hey Siri” support so you can summon the assistant from its 3 microphones with only your voice, the first time on any Mac. I never used Siri on my old machine though and doubt I’ll use it on this one. The Apple custom silicon also integrates the Secure Enclave coprocessor as well as various subsystems including image signal processing plus the audio and SSD controllers too. 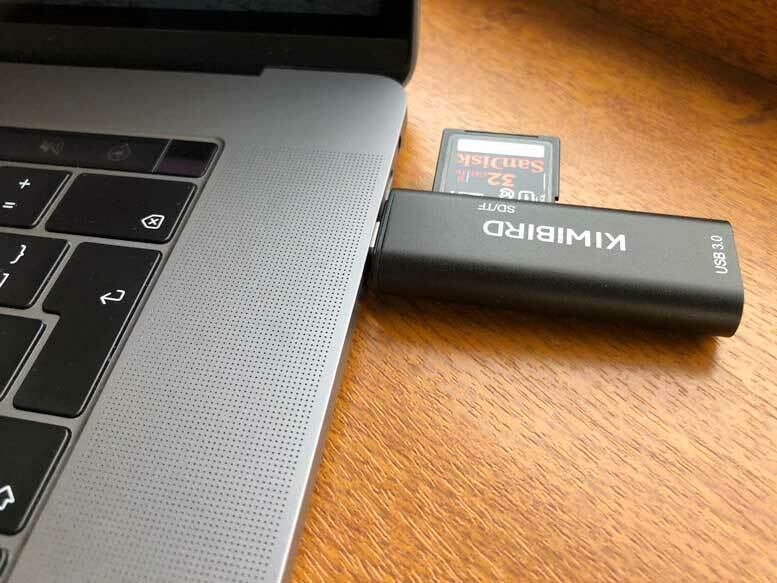 The T2 chip also handles disk encryption, leaving the CPU free to concentrate on other task. The 720p FaceTime front facing camera will be getting a sticker to cover it. 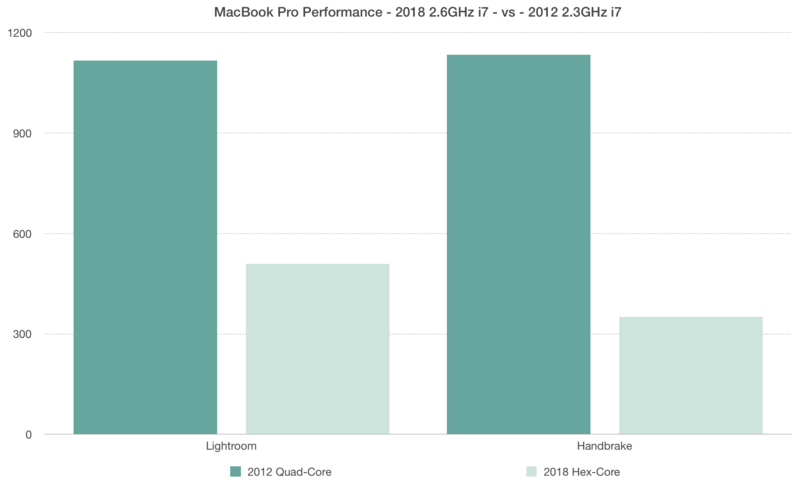 As you’d expect then, the 2018 MacBook Pro is a huge leap forward. Some operations take less than a third of the time of my mid-2012 machine thanks to the extraordinary CPU and SSD performance. The extra battery life, charging flexibility along with the fit and finish and OS make this a highly desirable machine. Will it provide 6 years service like its predecessor? Lets see. 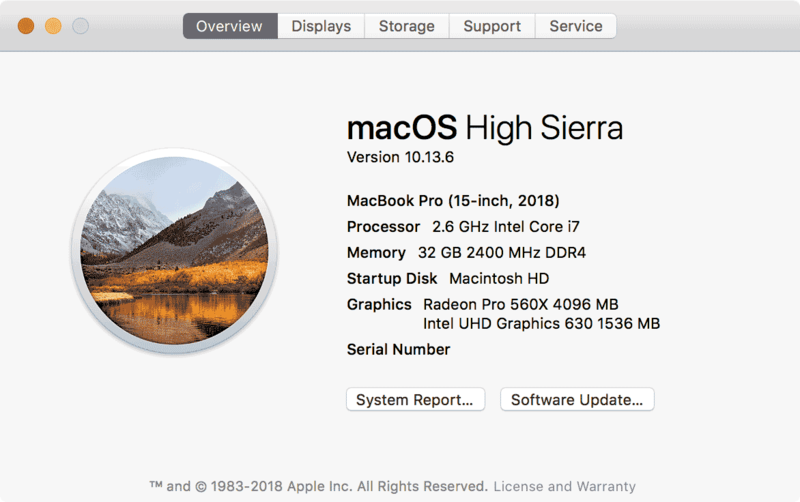 3 Comments on "Review: How My New 2018 15″ MacBook Pro Stacks Up Against My Mid-2012 Model it’s Replacing"
Yeah, Apple seems really dead set on making their Macbooks worse in the pursuit of making them “better”. And people still buy it. At this point I’m convinced they could create phones and computers that don’t even turn on and people would still buy them.